Ca$hcats is a Website that Shows Cool Cats With Cold Hard Cash | OhGizmo! Apparently, taking pictures of your cat while it’s buried in piles of cash is a thing now–so much so that a website called Ca$hcats eventually came to be. It’s a site that accepts submissions from folks all over the world who have two things: a cat and lots of money (or lots of $1 bills.) Some pictures contain combo cats and stacks of cash, while others have a single feline curled up on a cushy bed of paper bills. Wouldn’t it be funny though, if the cat decided to stretch and proceed to scratch the bills apart mid-shoot? Yeah, I bet that would put this strange trend to a stop if it happened enough to owners with now-empty wallets. 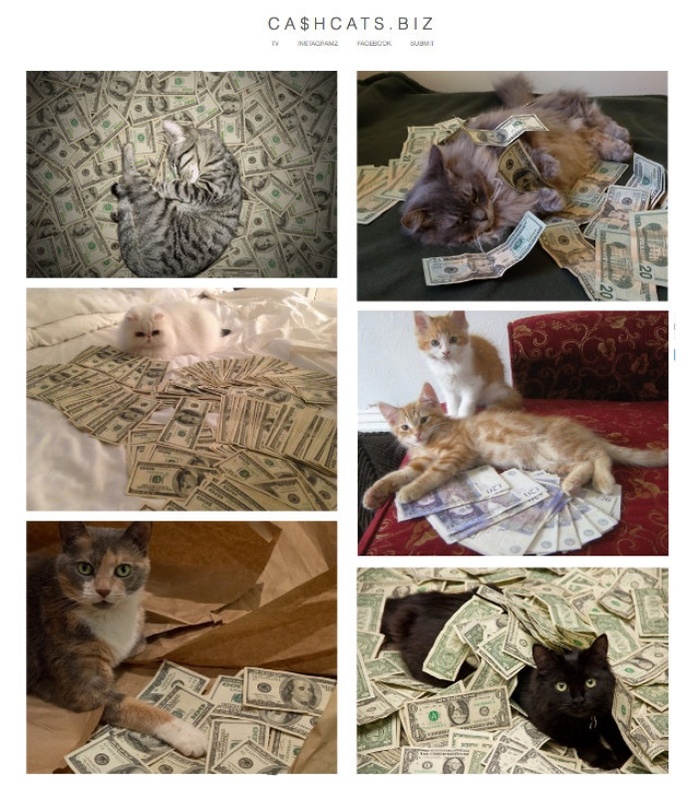 Head on over to Ca$hcats to check out some shots of cats with their cash.